Beautiful 19.61 acre piece of pristine land. Incredible opportunity to build 10 estate custom homes on exclusive estate size lots in Del Mar Mesa's Valley Ridge Estates.TM approved for 10 lots on 19.61 acres. Lots range in size from 1.1 acres to 2.03 acres. Each lot borders open space.All lots have commanding mountain views and views of the Grand Del Mar Golf course. Project can be released in 2 phases. 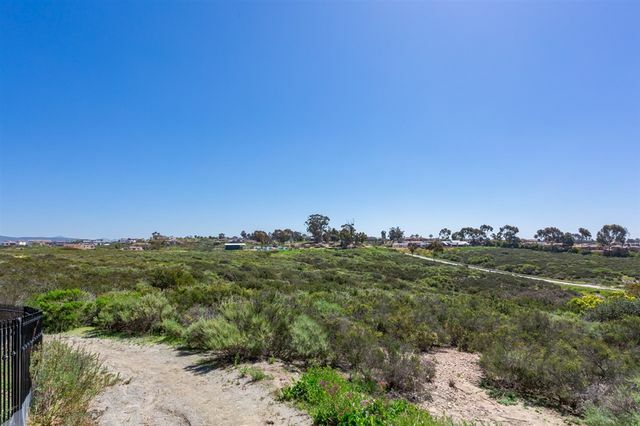 3 lots south side of Del Mar Mesa Rd and 7 lots on the north side of Del Mar Mesa Rd. Beautiful 13.12 acre piece of pristine land. Incredible opportunity to build 10 estate custom homes on exclusive estate size lots in Del Mar Mesa's Valley Ridge Estates.TM approved for 10 lots on 19.61 acres. Lots range in size from 1.1 acres to 2.03 acres. 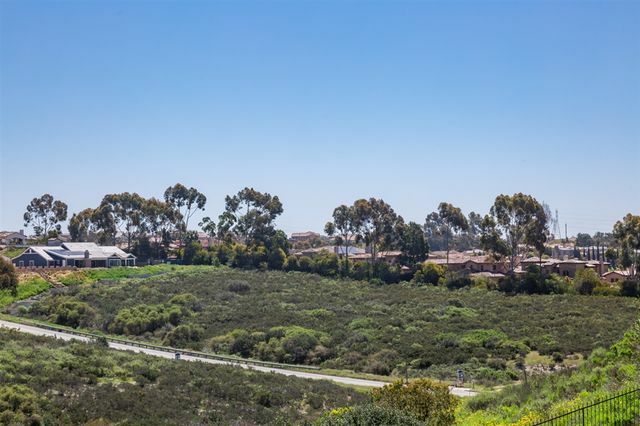 Each lot borders open space.All lots have commanding mountain views and views of the Grand Del Mar Golf course. Project can be released in 2 phases. 3 lots south side of Del Mar Mesa Rd and 7 lots on the north side of Del Mar Mesa Rd. It is not every day that the opportunity to own a trophy estate like this comes along! Be prepared to become the envy of everyone that you know when you buy this 7 bedroom, 8 bathroom show stopping Rancho Pacifica palace fit for royalty. Nearly 12,000 sq. ft. all conveniently on one level containing a movie theater, wine cellar, and bar, 5-car garage, decked out kitchen and fully-loaded guest house. 24/7 guard gated community nearby shopping, restaurants, golf, Del Mar Race Track, beaches, and freeways. This is the estate with the ultimate views in prestigious, highly coveted Rancho Pacifica! 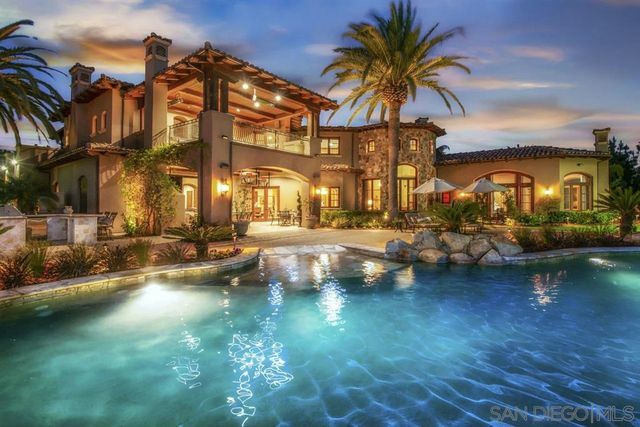 Set at the pinnacle of Rancho Pacifica's most sought after street, this estate presents the enviable lifestyle for those who want every luxury afforded to them. Breathtaking panoramic ocean, golf course, mountain, valley, and lake views coupled with all usable acreage distinguishes this property from all others. Extraordinarily private and serene, this custom designed and perfectly executed property has it all! Luxury Estate designed with Old World architecture and sited on a premium ocean view lot and being offered FURNISHED! This exquisite property presented by acclaimed builder RICHARD DOAN will captivate you with its estate like qualities. Maximize indoor/outdoor Southern California living on the outdoor lanai. Chef's kitchen, game room, wine cellar, home office, home theatre and fantastic Guest House that has living, kitchen and bedroom/bath. Enjoy the view of the ocean and fantastic ocean breeze! Back on market and priced to sell! Very private Rancho Pacifica peninsula lot with direct ocean view! This mega-mansion features over 10,000 sq. ft. of opulence. Big grass yard for the kids, Baja-entry Pool & Spa, Game Room & Bar, 300+ bottle Wine Room, Theater, Outdoor living w/Loggia, Casita/Guest Suite, Gourmet Kitchen, Breakfast Bar with Informal Dining Room, Formal Dining & Living Room, Library, Grand Entrance Hall, Master Retreat and 4 Guest Suites complete this Italianate Villa.